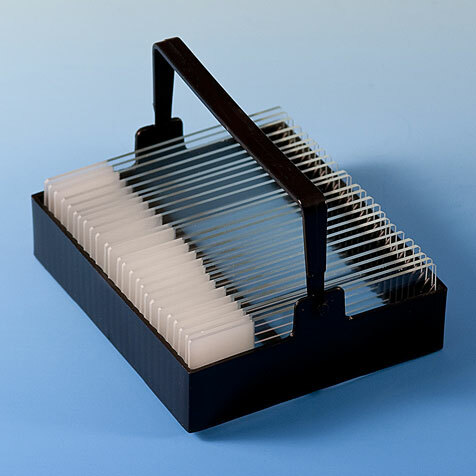 The Globe microscope slide dispenser is designed for use with 25 x 75mm and 3 x 1" microscope slides. 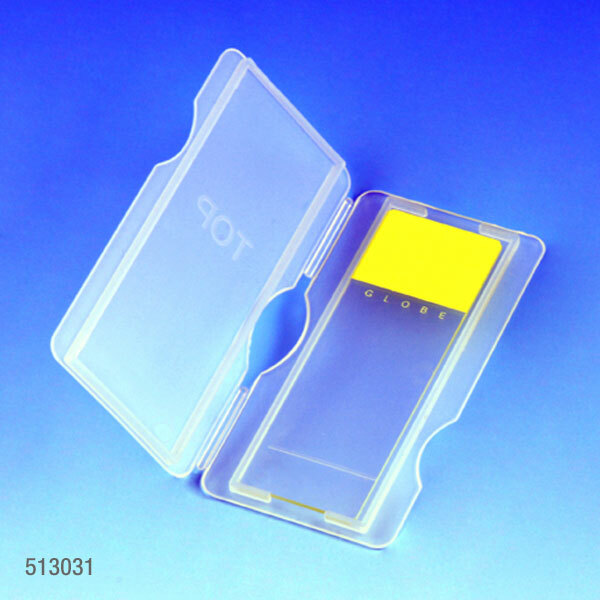 To use, simply insert one full box of 72 slides into the holder. 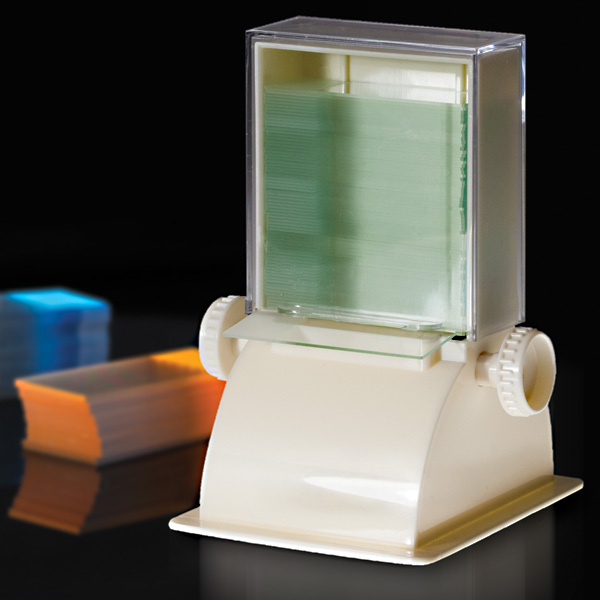 Turn the dial to dispense one slide at a time. 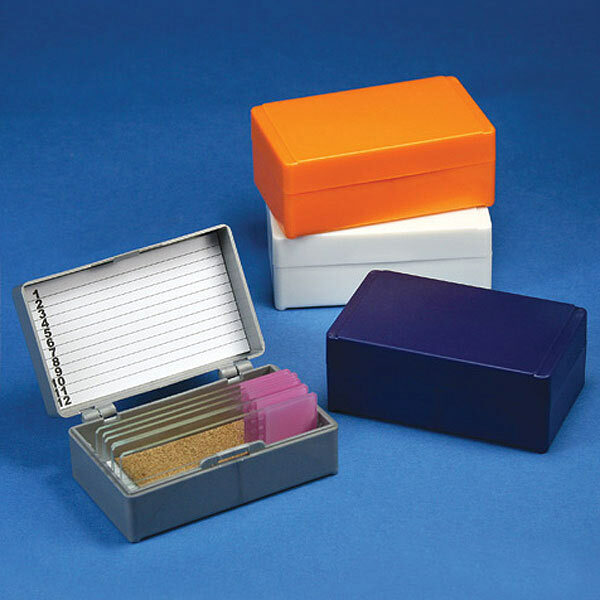 This convenient dispenser prevents slides from getting dirty, dusty and scratched.